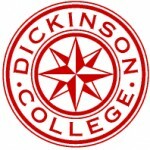 Dickinson's Beijing program offers an intensive study of Chinese language, culture and society. The program is open to students who have completed at least two years of college-level Mandarin. Courses at Peking University are conducted entirely in Chinese and the majority of students' credits will come from language courses. During the fall semester, in tandem with three intensive language courses, students take a special culture course, which provides an overview of Chinese culture and society enhanced by experiential-learning opportunities at key sites around Beijing. Students who remain for the spring semester and who have gained sufficient language proficiency may elect to take non-language courses at the university or participate in an internship while continuing their language studies. Students who successfully complete the fall semester language and culture courses receive up to 4.5 Dickinson credits. An additional 4.5 credits can be earned through successful completion of the spring semester, including an internship and/or non-language coursework at Peking University. In the fall, students on the Dickinson program embark upon a dozen field trips to historical and cultural sites in and around Beijing. These academic excursions, including a climb atop the Great wall, a visit to a tea house and attendance at various traditional Chinese performances, help students to fully experience Chinese culture. At the end of December, students, along with the program coordinator, take a weeklong excursion to a different region of China. The destination of the excursion varies from year to year and is designed to complement the students' study of Chinese language and culture. In past years, the excursion has taken students on educational visits to Yunan Province, Hong Kong, Shanghai and Hainan Island in the South China Sea.